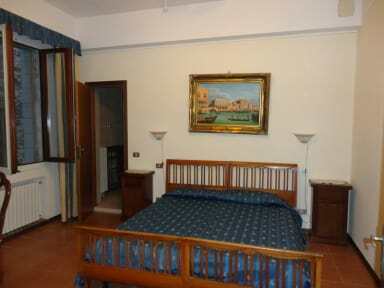 The property is located in a quiet area, just 10 minutes walking from Piazza San Marco and at a short distance from shops, restaurants and monuments. We are at only 350 meters from Rialto Bridge, in a small courtyard in front of the Church of St. John Chrysostom. A few steps from the guesthouse you will find the Rialto water-bus boarding stage, one of the main stops along of the Grand Canal. The building has a strategic position because it is exactly in the heart of the Venice historical center. Our B&B overlooks the famous Malibran theater and is adjacent to the houses of the famous Venetian merchant and traveler Marco Polo. In the very proximity of Residenza Grisostomo you have, on a side, the famous Ca' D'oro, and on the other side, the Venice Casino and the Jewish Ghetto. 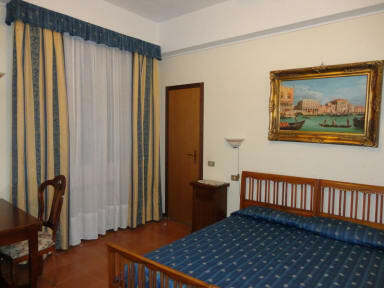 The guesthouse offers rooms with shared bathrooms and apartments in Venetian style with hardwood wood or tile and fan. Our staff is always available to help you for any need and we offer you free maps of Venice, Free WiFi (available in any room of the B&B), and information via e-mail (map and directions) in order to reach the structure. Moreover, our service includes periodic cleaning of bed linen and towels, daily rooms, soap, bubble bath and hairdryer, and much more. Check in from 14:00 to 19:00 (please, contact the property in order to communicate your arrival time). Check in after 19:00 will have extra fee. Extra beds: children under 2 years are charged EUR 10 and will sleep in a cot. Extra bed service available for EUR 35. The maximum number of extra beds/children's cots is 1 per room.